Three active teen groups participate in formation classes at St. Alban’s, held on Sunday mornings following the 9:00 a.m. service. Registration for 2018-2019 is now open. Please sign up online. PLEASE NOTE: We will not hold class on September 16, as we are encouraging all parishioners of all ages to join us for Geoffrey's installation as Rector at 4:00 p.m. that day. 2) Adulthood must be earned. Three or four adults mentor each group for two years, sharing their own faith journeys and forming strong bonds of fellowship with the participants. Social activities happen throughout the year for each group, and of course, friends are always welcome. Our youth engage in a wide variety of ministries, including acolyting (serving at the altar), lay reading (proclaiming the Word of God during Sunday services), and outreach (primarily feeding ministries like Grate Patrol throughout the year and summer mission trips to Appalachia). 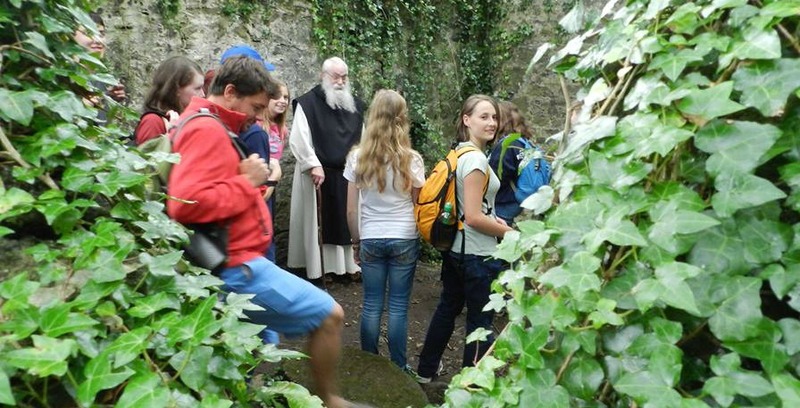 Our older youth have the opportunity to go on a pilgrimage together. The group chooses the location and raises funds to cover part of the cost of the trip. Look for St. Alban's youth selling poinsettias and wreaths at Christmas and chili for your Superbowl party. They also cook our annual Shrove Tuesday pancake supper, and the Cafe St. Alban's brunch on Palm Sunday.